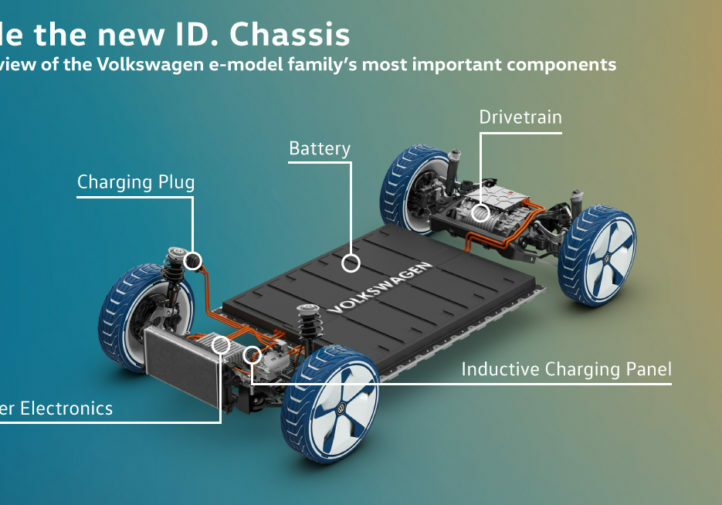 Volkswagen on Thursday announced an upcoming fleet of fully electric vehicles that would start at 150,000 units in 2020 and grow to 1 million by 2025. The tallies are global figures, and Europe and China have been quicker to adopt electric vehicles than America, according to the Guardian. However, American demand could change rapidly. 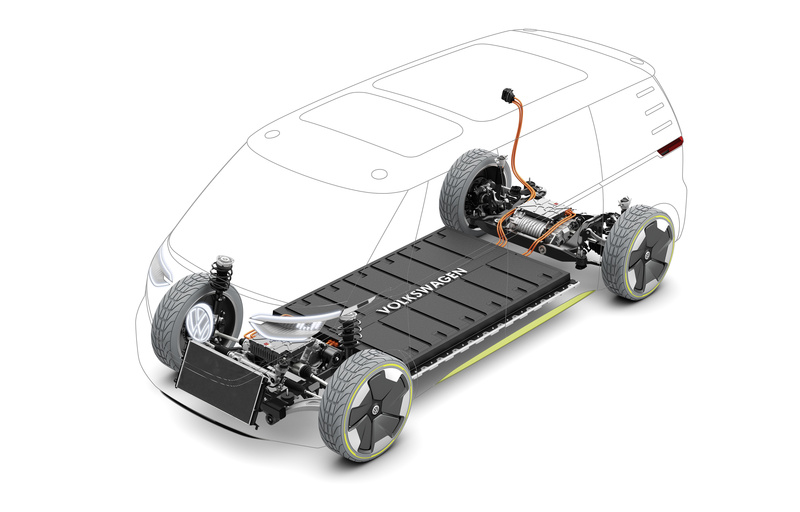 Volkswagen noted that electric vehicle sales rose by 60 percent worldwide in the past year and could reach 1 million units by this year. Bloomberg on Wednesday pointed out that had all of those deliveries been in the U.S. — Canadians received some of them — Tesla would have outsold every sedan but Honda’s Civic and Accord and Toyota’s Camry and Corolla in the third quarter. “It’s safe to say that the US will receive a fair share of the planned global volume,” Volkswagen spokeswoman Jessica Anderson wrote in an email Thursday. 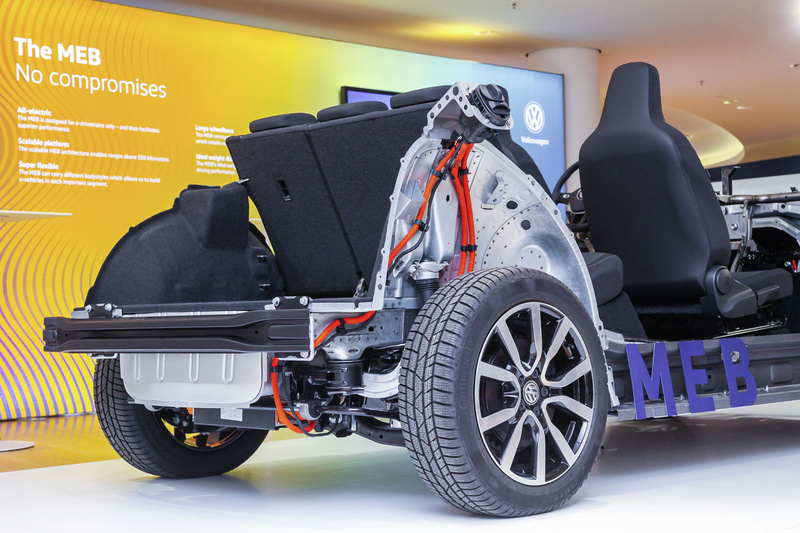 One million electric vehicles globally from Volkswagen would represent a sixth of the OEM’s global volume today. The Tesla Model 3 is slated to be sold in a $35,000 version. The Chevrolet Bolt, which sold 3,949 last quarter, starts at $36,620. Anderson said it was too early to talk about what Volkswagen meant by “affordable.” She said it also was too soon to discuss the the I.D. line’s lightweighting, the “modular electric drive matrix” (MEB) platform supporting the “e-cars,” or if Volkswagen would have a subset of electric-certified shops or require all VW repairers to have electric equipment and training. 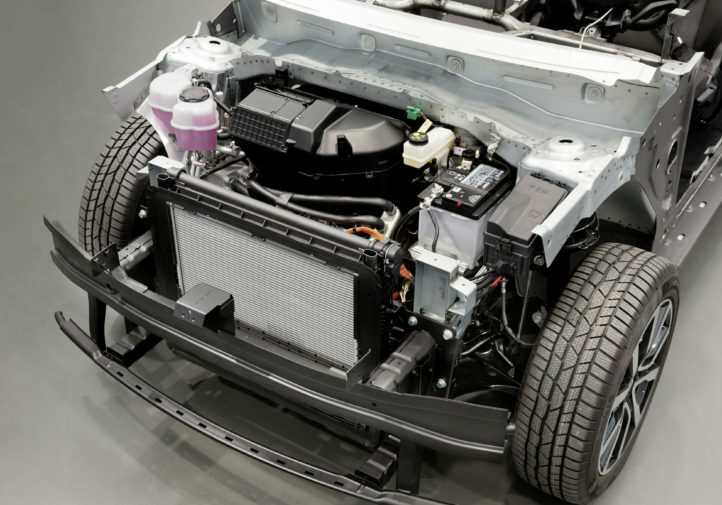 Electric powertrains can carry special repair considerations — including steps to keep one’s own staff safe — and they can be surrounded by lightweighted, aerodynamically optimized bodies. So the Volkswagen fleet and the electrification trend will bear watching by collision repairers. 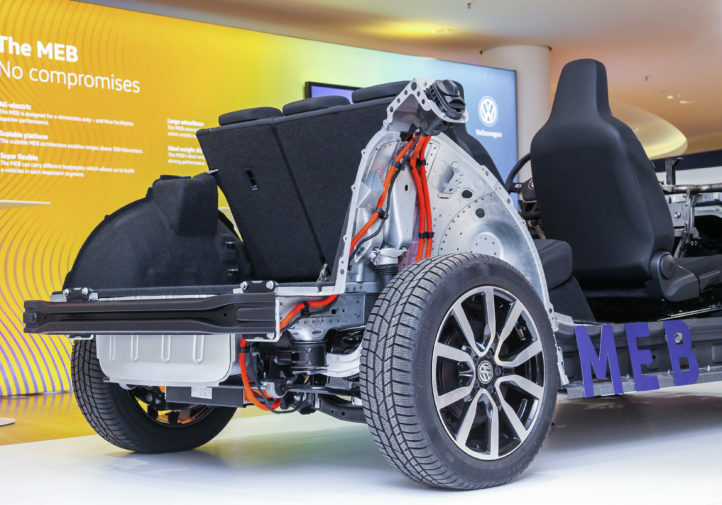 VW has in news releases provided a few details about the MEB platform in general, which might offer shops a little insight into what to expect from the structure of the electric Volkswagens. 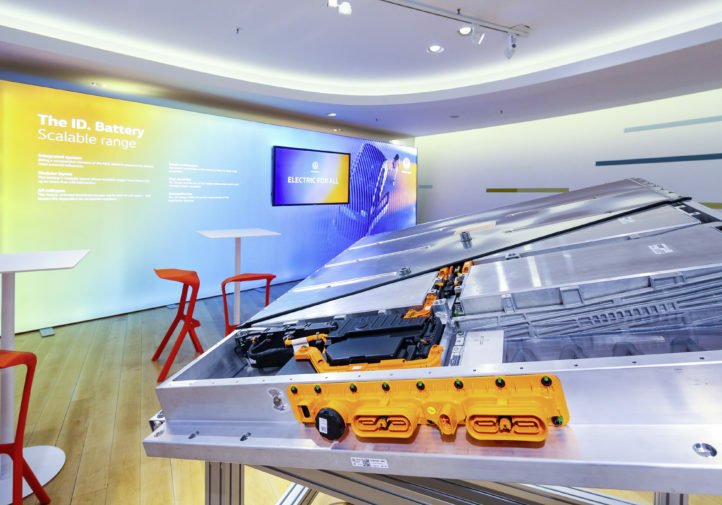 “In addition to scalability, there are other advantages to the new battery system, including weight optimization (thanks to an aluminum housing), the adaptability of various cell types, and integrated cooling,” the automaker wrote Thursday. 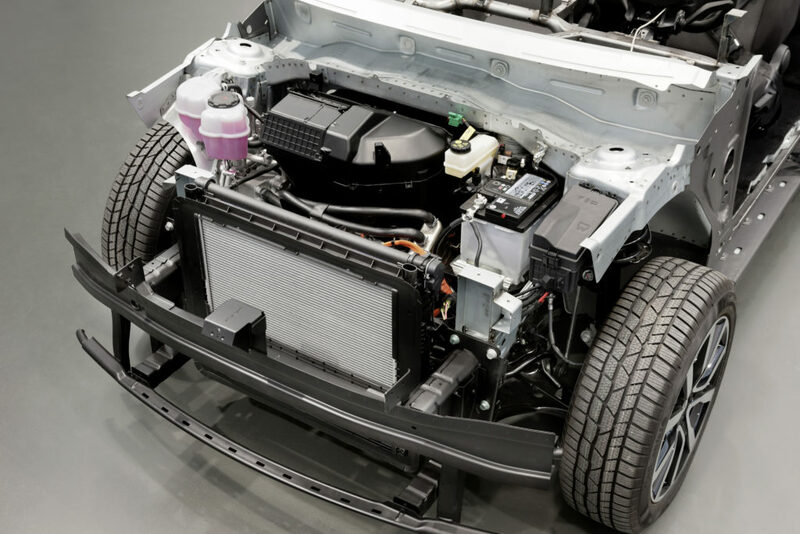 Audi’s electric midsize SUV e-tron used an aluminum housing for its battery, but the passenger cage itself “features components made from heat-formed ultra-high-strength steel,” according to Audi. The doors, hood and tailgate were also aluminum. 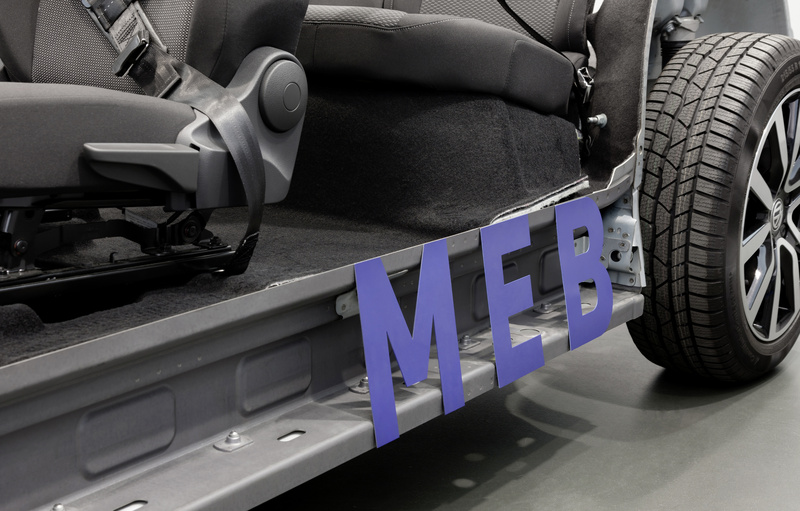 Like the modular transverse matrix (“MQB”), which Volkswagen says is used for 55 million of the units produced by the 12 brands in the Volkswagen Group, VW said it can make the MEB platform work on a variety of vehicle sizes. “The MEB has two major unique selling propositions,” VW wrote Thursday. 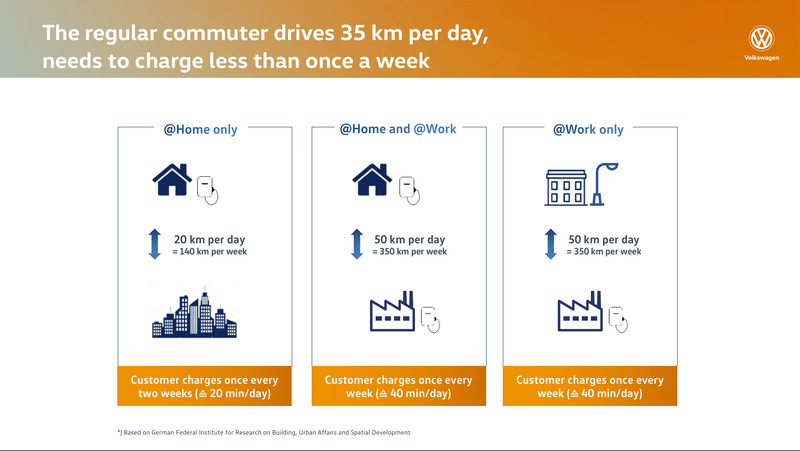 “First, it is not a platform for vehicles with combustion engines that has been retroactively modified. 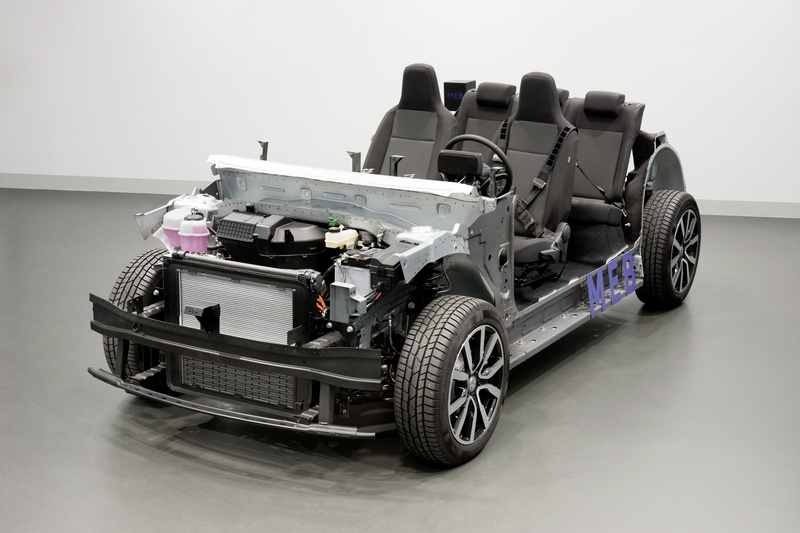 Instead it is a modular assembly matrix designed specifically for pure electric cars, which enables Volkswagen to utilize this technology to maximum effect. 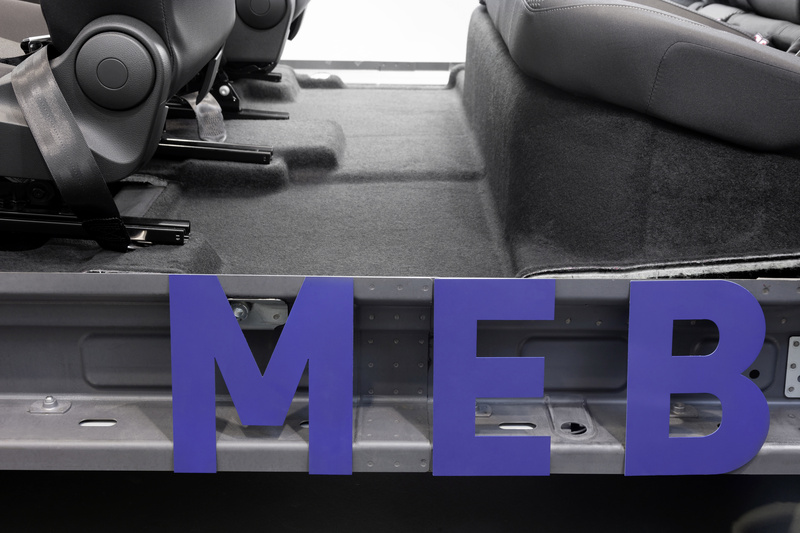 Second, the vehicle concept and design can be structured in a more flexible way than ever before—the spectrum ranges from compact cars to SUVs and MPVs. 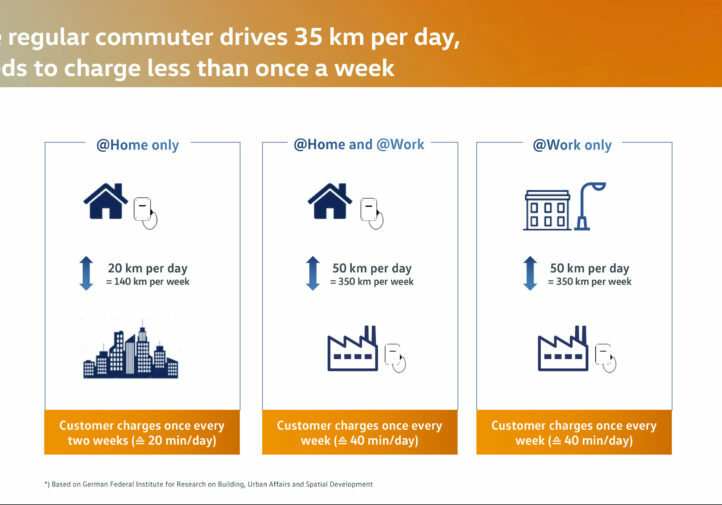 This will enable the Group to achieve economies of scale, thereby making electric cars cheaper and more affordable for many people. 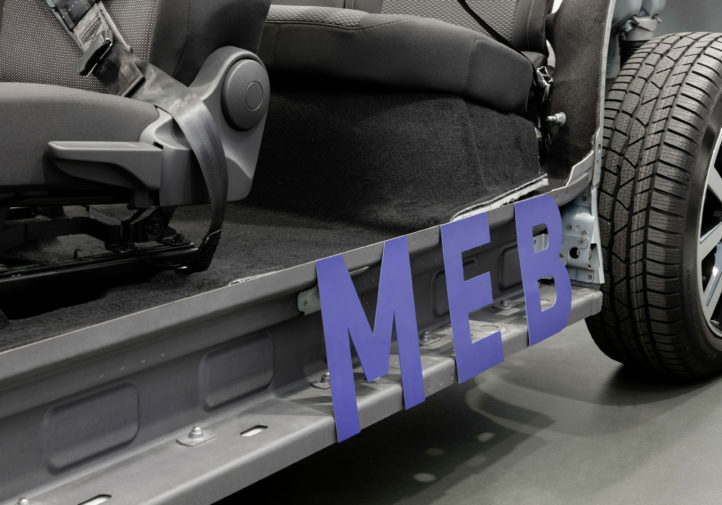 Volkswagen said it would use the MEB for other Volkswagen Group brands, including Audi, Volkswagen Commercial Vehicles, SEAT and Škoda. 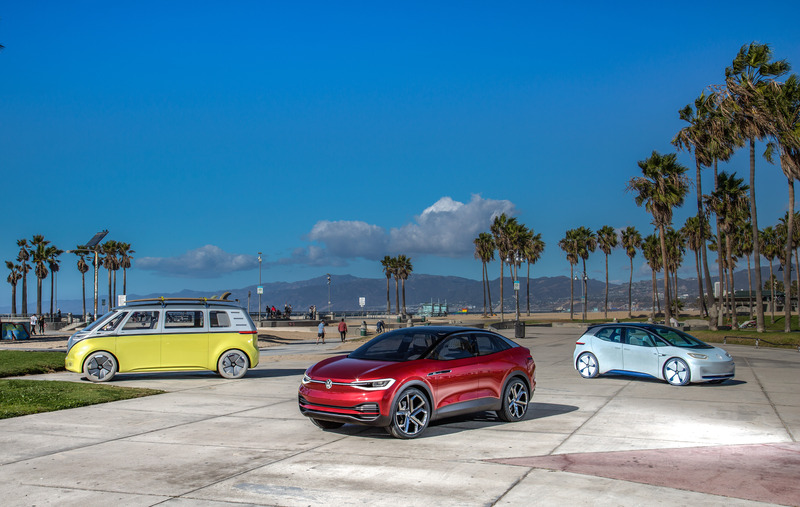 VW directed the media to four concept cars, the I.D., I.D. CROZZ, I.D. BUZZ and I.D. VIZZION, which are among the portfolio its parent company plans to release soon. 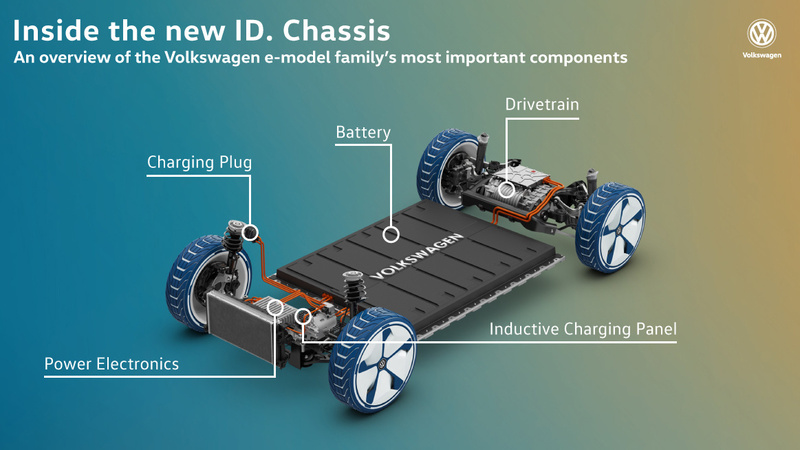 Volkswagen said the I.D. and an “ID. 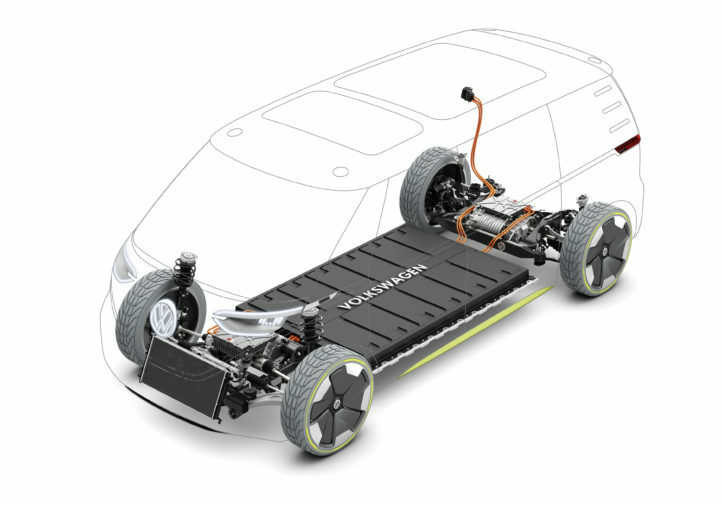 SUV” are expected to be a huge part of Volkswagen’s 2020 electronic portfolio. The I.D. 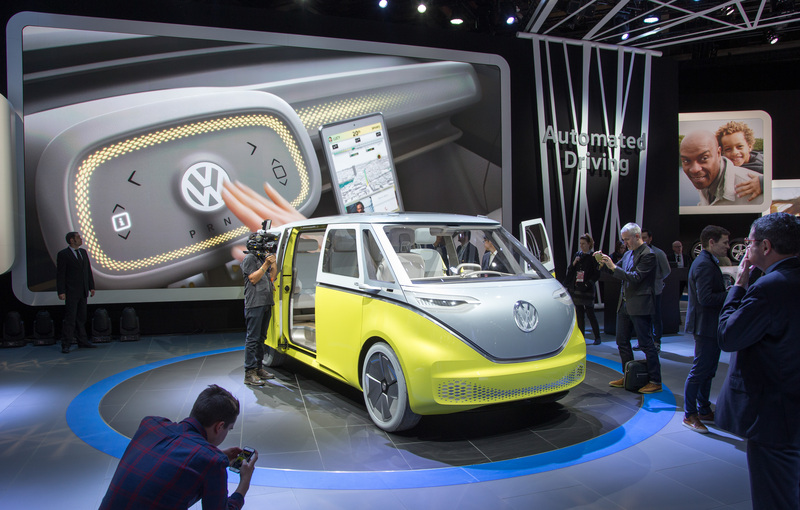 BUZZ is the VW Microbus for the modern world, and Volkswagen described it as targeted for going on sale in 2022. It will also have a cargo-hauling van variant. The I.D. CROZZ is a crossover VW plans to start building in 2020. “The I.D. CROZZ is more compact and has a lower roofline than the all-new 2018 Tiguan, yet the CUV provides just as much space,” Volkswagen wrote in 2017. Production on the the I.D. 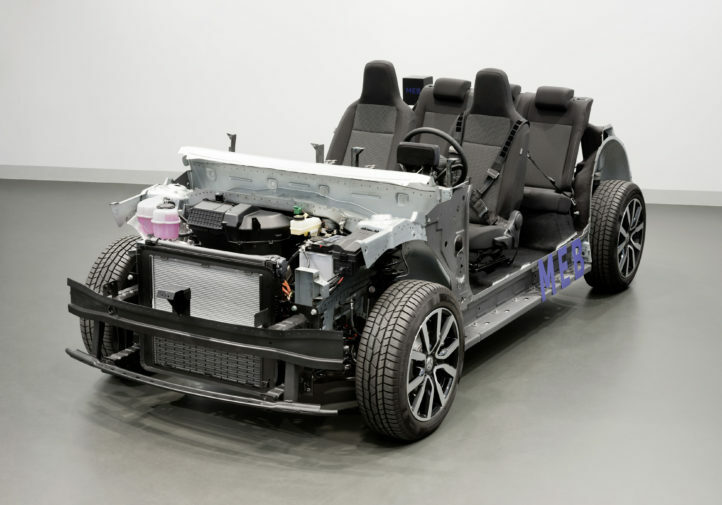 VIZZION premium sedan will begin in 2022, and “will first be available with conventional controls.” Volkswagen views this vehicle as “designed for Level 5” autonomy. 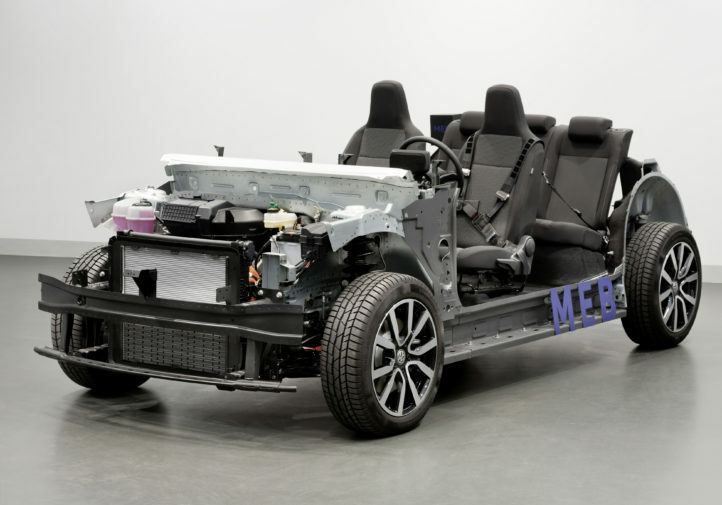 Volkswagen said the MEB model range “will therefore be similar in size to that of current vehicles based on the modular transverse matrix.” It’s unclear if the OEM means volume or physical size. 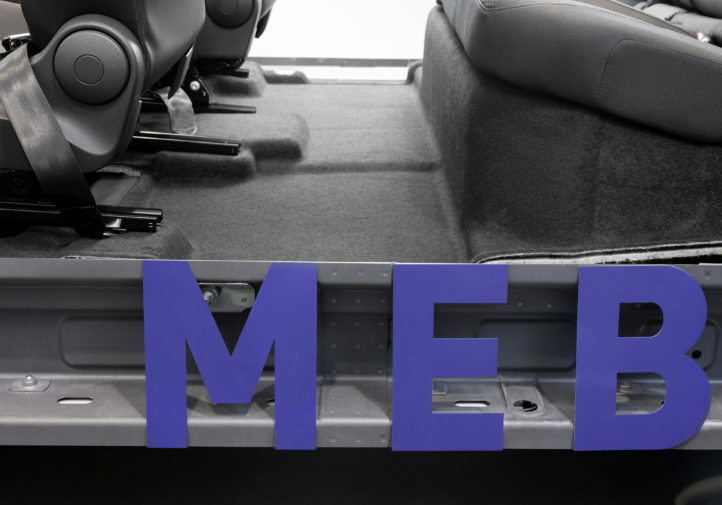 The MQB platform can be found on the 2019 Jetta, the 2018 Tiguan and Atlas SUVs and 2019 Arteon sedan in the U.S. 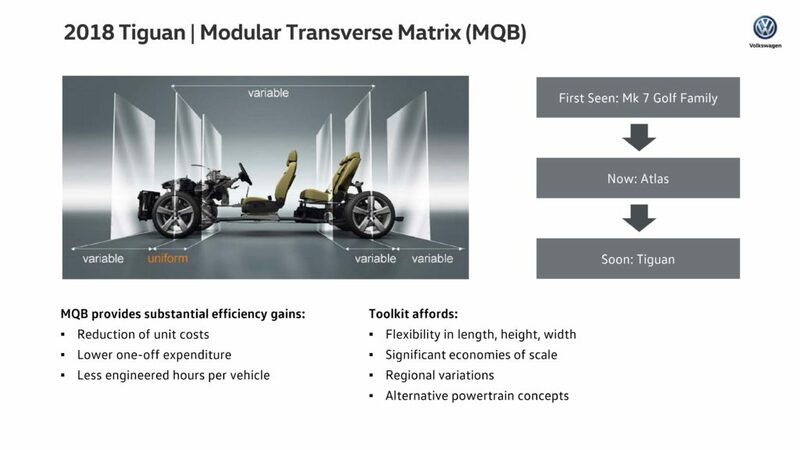 While the aluminum battery case — which itself can be scaled for ranges of between 200 miles to more than 340 miles — obviously will be an important structural difference, other elements from these MQB designs might find a home on the MEB format. A VW diagram for the European Tiguan (the American one is longer, however) indicates that areas including the A- and B-pillars, transmission center tunnel, front floorwell (kickout panel), roof rails, inner frame rails, and rear floor crossmember are all “ultra-high-strength hot formed steel” with more than a gigapascal of tensile strength. Regions including the shotguns, another floor crossmember and roof crossmembers and other roof supports connected to the roof rails are also ultra-high-strength steel but below 1,000 megapascals. Ultra-high-strength steel typically starts around 780 MPa. The rest of the body-in-white appears to be less than 420 MPa in tensile strength. 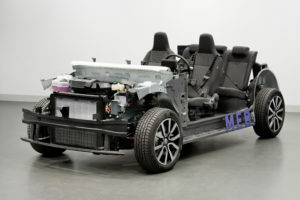 “Essentially, we make them out of steel, high-strength steel, and ultra-high strength steel,” Volkswagen senior product and technology communications manager Mark Gillies wrote of the 2018 Atlas, which uses the same Modular Transverse Matrix (“MQB”) platform but was larger than the Tiguan. 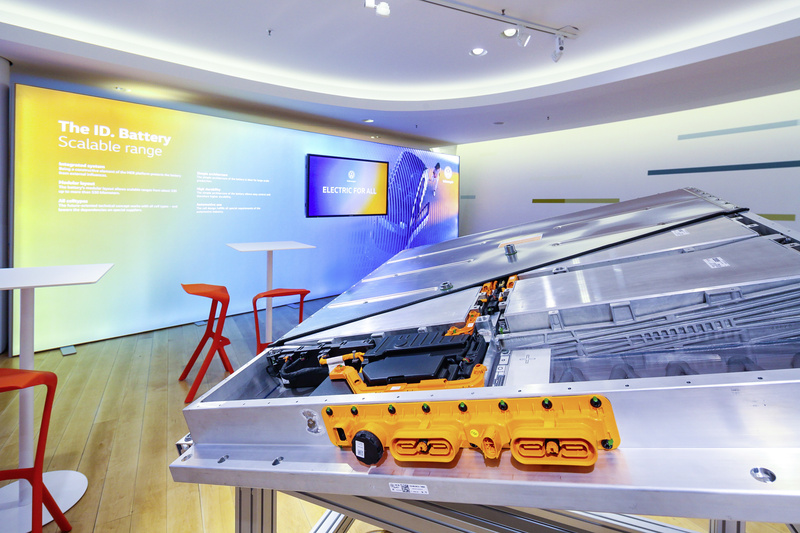 Based on the MQB platform and VW’s need to offset both battery and regular vehicle weight, repairers could encounter much ultra-high-strength steel on the MEB e-cars.